So you’re on the third year of your music festival. You’re looking to make the jump from 5000 tickets to 12,000 festival-goers. That means a huge step up in terms of the logistics of ticketing, marketing and organisation. How can you scale your event seamlessly, get the word out and expand your operations without using up valuable time and resources on issues like ticketing? A festival ticketing solution could be the key to scaling your event without draining your team. 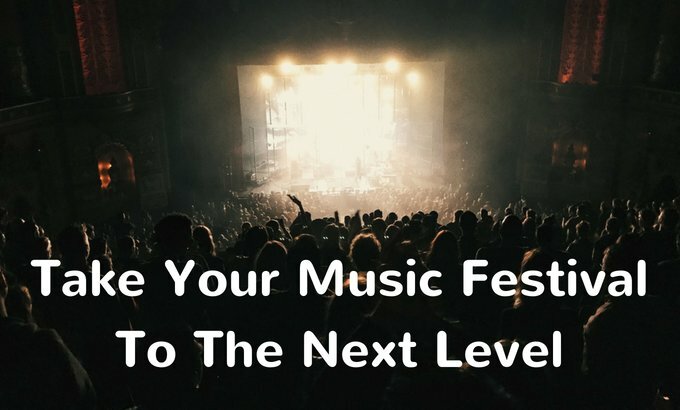 Indeed, growing your music festival substantially year on year means making substantial leaps in how you run your festival, the tools you use and the processes you follow. If you’re trying to grow your festival from a small alternative event to a medium to large scale festival with a regular following, you’ll need to be working hard in the ‘quiet’ months to ensure you can scale year on year. Often this means high spend, large teams and lots of resources, which might not be available to you, especially if you’re bootstrapping. That’s where a festival ticketing solution could enable you to rapidly grow your music festival, handling a large amount of the logistical legwork so you can focus on the wider picture. To reach more customers, you need to know them well. Your marketing will need to focus both on maintaining existing customers, and attracting new ones. Your marketing will also need to expand its reach rapidly each year in the time between your annual events. The answer to this expansion is data. Though you may not be able to access information about customers you don’t have a relationship with yet, customer behaviour data can help you to generate audience profiles that mean you aren’t taking steps in the dark with your marketing efforts. A festival ticketing solution can help provide critical insight and clarity into sales performance and customer buying behaviours that can help inform which areas you expand into, how you interact with potential customers and where you direct your marketing budget. A great use of the customer data your festival ticketing solution can provide, is to help you to reach out to influencers to cover your event on social media. 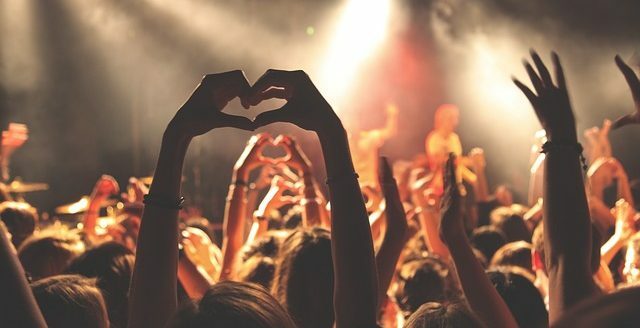 Influencers can be invaluable to your brand identity by helping you to get the word out and add legitimacy to your festival’s name (especially if you’ve only been around for a few years), but there’s no use paying someone to shout out about your event if their audience won’t be interested in what your festival has to offer. Use the data gathered year on year by your festival ticketing solution to refine your target market (is your festival particularly popular among families, or among girls under 21?). This definition of who your festival most appeals to can help you narrow down particular influencers that could boost your brand recognition and provide a high return on investment as well. On a logistics level, scaling up your festival means managing and distributing tickets on a much larger scale than ever before. That could mean buying hardware, employing extra personnel, and completing laborious and time-consuming manual tasks in order to get ticket stock ready and distribute it to all your attendees. If you’re looking to grow rapidly, these flows need to be streamlined and digitised to economise your resources. You’ll also need a method of managing high-volume ticket distribution with ease in order that you can keep an eye on sales via real-time day-to-day updates. A festival ticketing solution can help you to oversee these logistical processes, put in place an effective e-ticketing solution that saves the time involved in manual processes and the expenditure of ticketing hardware, in order that you can smoothly manage the step up in ticket numbers. In order to sell a greater number of tickets for your festival, you’ll want to make them available on as many channels as possible. A festival ticketing solution can help you to manage inventory across multiple channels using just one platform, meaning your potential festival-goers can book for your festival via the channel of their choice, where they feel most secure paying online and they’re familiar with the user flow. One channel performing significantly better than others? Your solution will enable you to transfer inventory from one to another with ease, as well as providing you with visibility on real-time sales figures from multiple channels in one place. Ultimately, you want fans to be able to learn about, and book for, your festival on as many channels as possible. Practically this isn’t always the easiest, which is why a ticketing solution could work well for you, in particular if you’re operating with a limited number of personnel on your sales and marketing teams. You’ll want to encourage your potential festival-goers to book early, and in bulk. The best way to manage that is to introduce a tiering system, that means the price goes up as you get closer to the event. The difference between the discount early tickets and the more expensive last minute tickets means you still make your desired profits on your event tickets, but allows you to open up your sales to loyal fans, newsletter subscribers and returning customers early and at a reduced price. This means they feel valued, and who doesn’t love a bargain? However, with your tickets spread across multiple platforms, this can be a challenge to manage. A festival ticketing solution that includes a price discount engine can help you manage complicated pricing structures over time, closed and open sales, and run discounts that mean you can sell a high proportion of your festival tickets in advance – helping you make the leap from amateur to professional year on year. When growing your music festival year on year, every week counts. You’ll need to be getting the most out of your team members, resources and funds in the time that falls between your annual festivals, to ensure you can bring in bigger audiences and book bigger artists year on year. You won’t want to be handling the complex logistics of setting up your e-commerce platform, managing ticket printing, sales and distribution on top of everything else. That’s where a festival ticketing solution comes in – to help you manage the organisational and logistical leap that scaling your music festival requires. It’ll take care of the legwork so you can focus on what matters – getting the word out about your festival to bigger audiences every year!